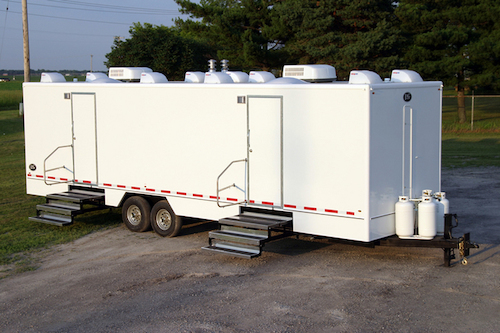 The energy-efficient 8 head shower trailer is designed for the masses. Perfect for large construction sites and disaster recovery zones, we can provide the comfort and privacy you expect and need when you are away from home. 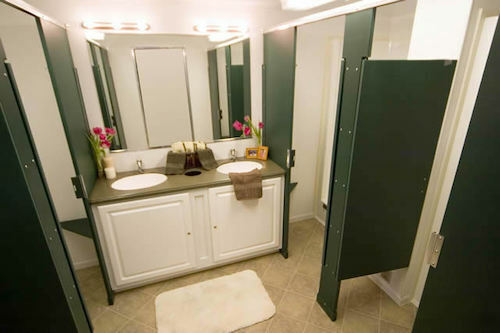 The common area of each side features a double sink set into Corian counter tops, mirror, hot and cold running water, heat & air conditioning and power outlets for hair dryers, curling irons or electric shavers. 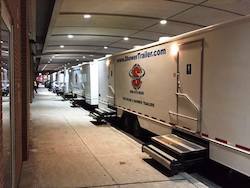 The mobile shower trailer contains on-demand water heaters and 40 pound LPG cylinders, providing plenty of continuous hot water. All that's required is up to 4 standard 110v outlets on separate 20 amp circuits and a garden hose for water supply. 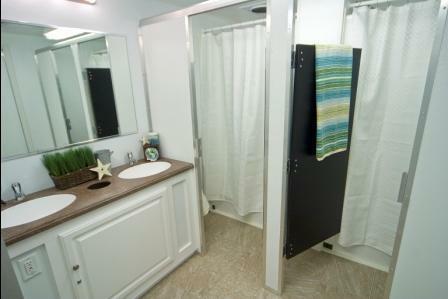 These shower trailers can be hooked directly to a sewer line for continuous use. 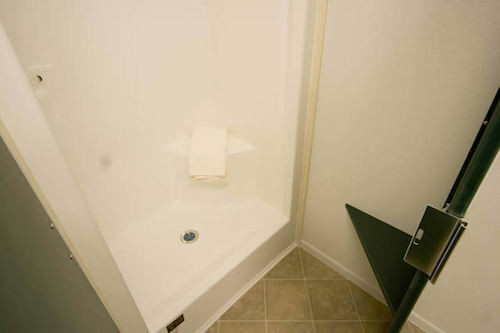 If no sewer or water hook up is available, we can service units by emptying a waste holding tank, and fill the on-board 300 gallon water tank to provide a self-contained shower unit.